We are a leading manufacturer of an optimum quality range of Beveled Stained Glass.Uses:Widely used in windows and doors of shops, hotels, restaurants etc. Our company provides various kinds of Beveled glasses. These are single pane of glass with a beveled edge. They are basically a cut made an angle of less than 90 degrees. A beveled edge is characteristically used for decorative purposes than any other style. Different designs can be made usuing different tints and shapes of mirrors. 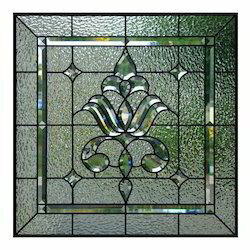 We have carved a niche amongst the most dominant names in this domain, engaged in offering Stylish Beveled Glass. Due to our enormous understanding and massive knowledge of this business, we are involved in offering Beveled Glass. 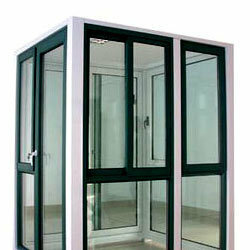 We are one of the most reliable companies in this domain and are into offering Beveled Glass.